We are still buzzing from the excitement of winning the Newcastle Master Builders Association Granny Flat of the Year award for the second year running. In the weeks following the win, we have been published in the annual Master Builders Association Building Awards Magazine showcasing excellence in Housing and Commercial projects! 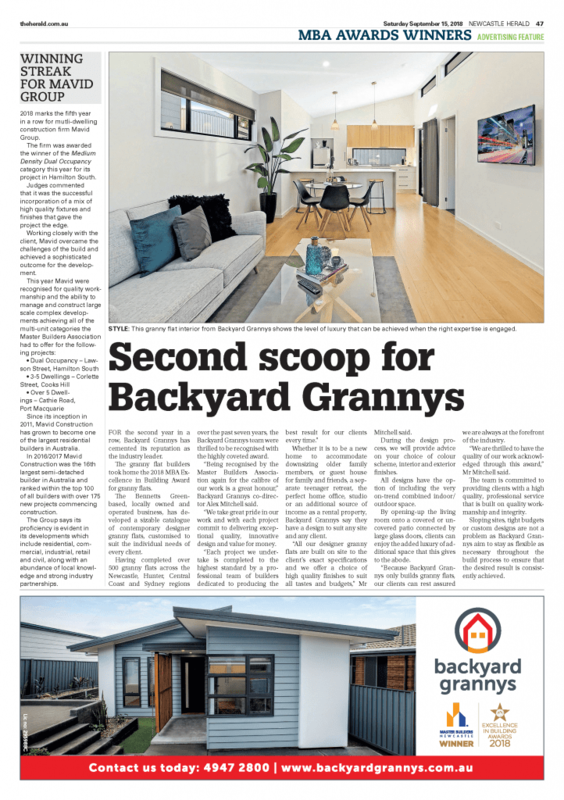 We also received local media coverage in the Newcastle Herald weekend edition and were featured on page 47. 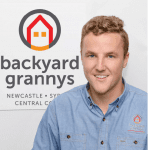 Backyard Grannys Director, Alex Mitchell, said in the article – “We are thrilled to have the quality of our work acknowledged through this award”. 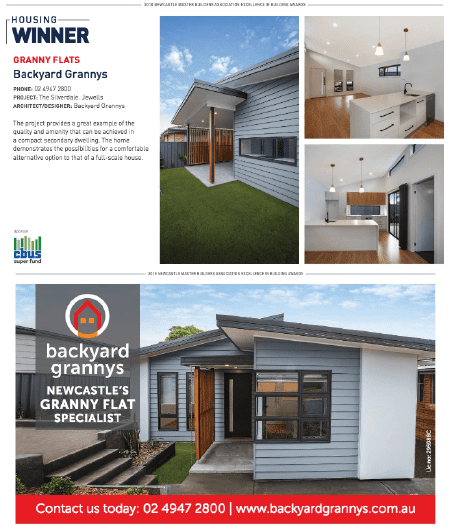 Since we began seven years ago, we have designed and built over 500 granny flats and are the leading granny flat builder in the Newcastle, Hunter and Central Coast region. 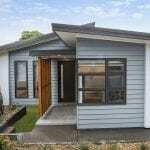 If you would like to view our award winning granny flat, The Silverdale, please click here to see opening times. 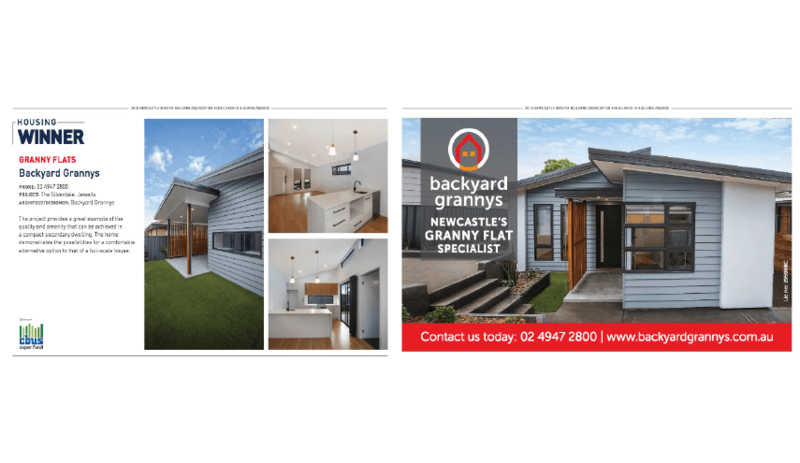 Fill in the form below to speak with our team about building your own granny flat or give us a call on 4947 2800.